Vapor Corrosion Inhibitor Films (VCI Films) are used to wrap around machinery/metallic parts to prevent rusting due to moisture that may be present or may develop while being transported by sea. 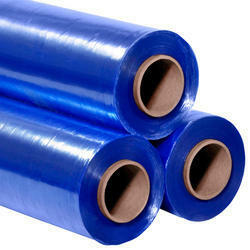 VCI Films absorb the moisture from air present in the package thus preventing rusting. Available in widths upto 6 meters width and 200 micron thickness.